Conjunctivitis, or pink eye, is a very common eye condition in children. It causes red, irritated and sticky eyes. The image shows eyes of a child with conjunctivitis. The infection can be bacterial, viral or allergic depending upon the symptoms. If the child has cold and conjunctivitis, the infection is supposedly viral. If a thick yellow discharge is produced, it might be due to bacteria such as staphylococcus, streptococcus, or hemophilus. 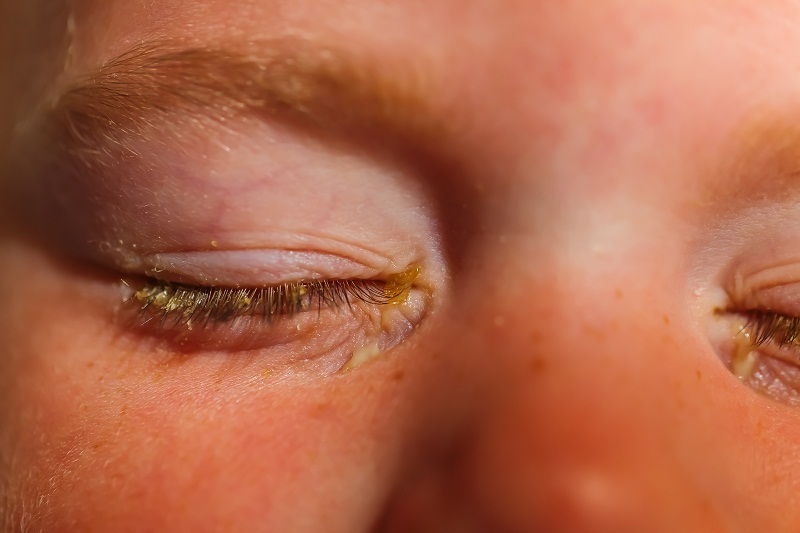 In case, if the eye seems to be itchy and swollen, the child is supposed to be suffering from an allergic reaction to an irritant such as dust, pollen, or smoke. 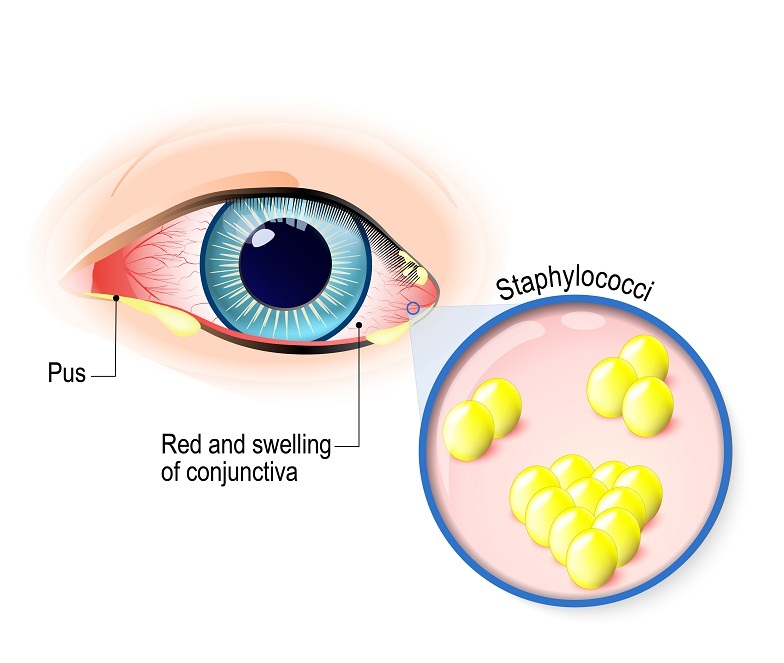 Illustration of an eye with bacterial conjunctivitis and bacteria that cause it - Staphylococci. Bacterial conjunctivitis is one of the most commonly encountered eye problems in medicine. Most cases are acute, self-limited, and not a major cause of morbidity. But it is highly prevalent. Bacterial infections are often caused by staphylococcal or streptococcal bacteria. Insects, physical contact with other people or poor hygiene can cause such infection. Bacterial conjunctivitis can be treated with antibiotic eye drops or ointments and may improve after three or four days of treatment. Illustration of an eye with viral conjunctivitis during eye examination. Another name for conjunctivitis is pinkeye. Common cause of viral conjunctivitis is contagious viruses associated with the common cold. 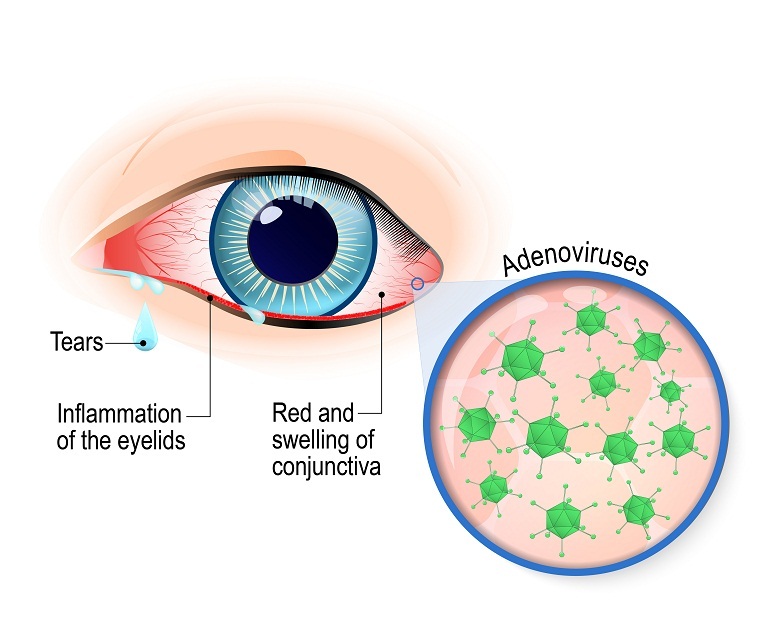 Viral conjunctivitis occurs when virus spreads along the body's own mucous membranes. Viral conjunctivitis begins in one eye and causes tears or watery discharge from the eye. Within a few days, the other eye also gets affected. No drops or ointments can treat viral conjunctivitis. Topical steroid drops are prescribed in worst cases to reduce the discomfort from inflammation. The eye is our organ of sight. 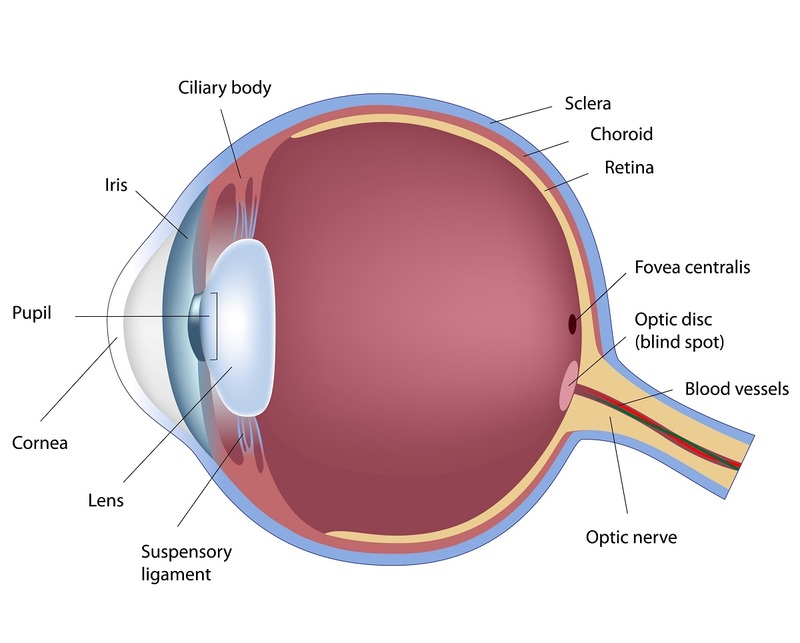 The eye has a number of components which include but are not limited to the cornea, iris, pupil, lens, retina, macula, optic nerve, choroid and vitreous. Viral conjunctivitis is a highly contagious acute conjunctival infection generally caused by adenovirus. Its symptoms include irritation, photophobia, and watery discharge from the eyes. The illustration shows a close up view of an eye with viral conjunctivitis. 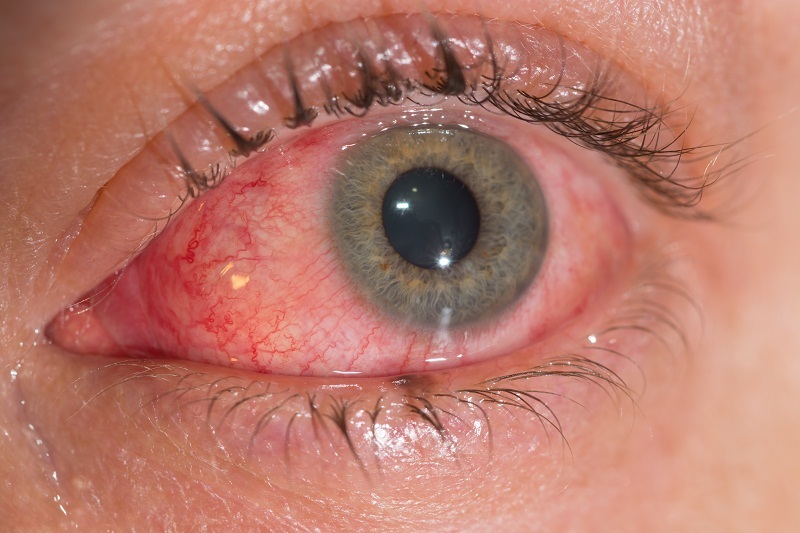 Generally, eye discharge associated with viral pink eye (conjunctivitis) is clear and watery, but sometimes it may include a white or light yellow mucus component too, as shown in this image for eyes of a patient with pink eye .